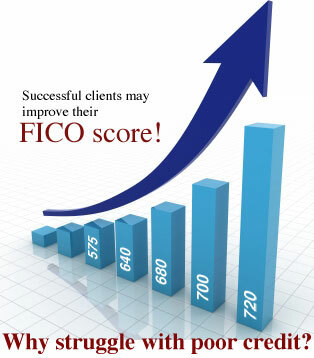 Having a good credit score is an important part of life. 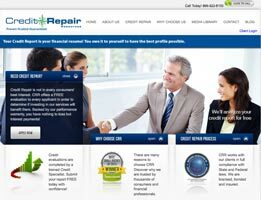 Creditrepair.com, a predominantly online company, offers credit repair help. They have a simple process to remove negative items from your credit report including collections, charge offs, liens, bankruptcies, reposessions, foreclosures and judgments. They contact the three major credit bureaus to remove negative items and raise your credit score. Once Creditrepair.com receives the credit reports from you from the three main credit bureaus, Experian, Transunion and Equifax, they will challenge the questionable and negative items on your behalf and then track, monitor and amended credit cores, as required. An online dashboard and a mobile app allows you to personally track the process. This proven system boasts an average of 11.6 negative items from your credit report within only 4 months! In fact, within just 90 days, the average Creditrepair.com client will see 20% of the negative items disappear from their credit reports. There is no initial fee for the services provided by CreditRepair.com, which happens to be very different from other companies. Pricing starts at $89.95 per month and lasts until your credit is fully repaired. This fee includes other services such as credit score tracking and analysis, monitoring of credit score, and text or e-mail alerts. This nominal fee ensures that you are in constant awareness of your current credit situation! Clients have access to both phone and e-mail support seven days a week between 9am and 10pm EST. Their website also contains a ton of useful information on the topics of debt management, credit repair, personal loans, savings, and much more. One of the biggest aspects of credit repair is consumer education, and CreditRepair.com has taken the necessary steps to educate their client base as much as possible. 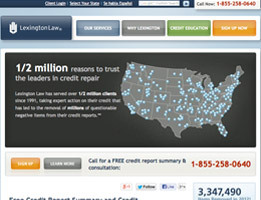 Creditrepair.com is almost predominantly an online company offering credit repair help. Their text and email alerts in addition to their mobile app provide up to date information to you on the go. The monthly fee also includes TransUnion credit monitoring during the duration of the Creditrepair.com program. Although Creditrepair.com is a predominantly internet based company, advisors are available by phone to answer any questions or concerns that you may have. Thank you for reading our Creditrepair.com review. 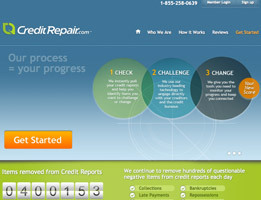 Creditrepair.com makes the process so painless and easy. They have a simple process in place but allow their customers full access to the status of the disputes on a personalized internet page. I am happy with the number of removals and the speed in which I saw results. I was embarrassed to need their services at first until I realized lots of people have inaccurate items on there reports. Creditreapir.com was a good company and I am happy I found them. I did not know what to do or who too call or anything when I saw my credit report. Why was it so wrong and what can I do? I found creditrepair.com and they saved the day. I wish I would have found them sooner. It has been six months and I have my credit report all cleaned up. Yay! Good company. Easy to work with and fast results. I liked working with them and recommend them. They changed my life and helped me so much and I am so happy that my report looks so much better. Plus I got a 10% discount for being in the military. Please use Ovation if you want to be very happy. I’ll be retired soon. I couldn’t really enjoy it unless I got my debt out of the way. CreditRepair.com helped me to do just that. Now I don’t have to worry about working past retirement. It’s really hard to set up a credit payment plan that you can afford with your creditors. I thought I could do it by myself. Some companies worked with me, but the majority wouldn’t. It didn’t want to do a debt management plan. I wanted my debt gone quickly so that I could start over. I called creditrepair.com and explained my situation to them. They understood completely. They got to work very fast. My credit was repaired in a professional, painless manner. Well, it was painless for me anyway. I don’t know about my creditors. And now I don’t have any. The consequences of our actions can sometimes be hard to face alone. My debt felt like it was crushing me. Creditrepair.com helped me to relieve my burden. I feel like I got a second chance. I was so tired of getting bills in the mail and constant calls from debt collectors. I was trying, but the harassment was not making it easier. CreditRepair.com put a stop to all of that. I am happy to report that because of CreditRepair.com I no longer have credit debt! This is the first time I’ve been in this position in years and it feels wonderful because I do not have to worry about owing money for once in my life. 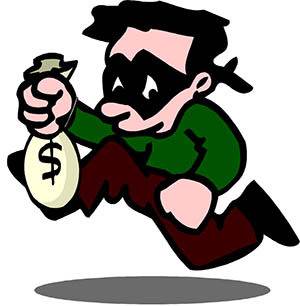 You have to be very careful when selecting a credit repair company. They are not all what they claim to be. In fact, a lot of them will just take your money over and over again and you are never paying down the debt or making a significant dent in it. CreditRepair.com is a good company because they show you where all of the money is going and don’t make empty promises. Everyone I have spoken with from CreditRepair.com has been very polite and willing to help me. I did not get this service from previous credit repair companies. I have been with CreditRepair.com only two months but it is amazing the difference they have been able to make in my credit repair process. They negotiated lower rates which means I am accumulating less debt as the days pass. As someone who is fanatic about paying all my bills on time, I never thought I would end up with credit issues. Even though I was responsible with paying my bills, including my credit cards, I never built up the savings I needed to help me if I should ever become sick and unable to work. Thanks to an extended illness, all the credit I worked years to build was in the toilet. With the help of creditrepair.com, I was able to work for a year to restore my credit, and I’ve since started building a savings account to stop it from happening again. 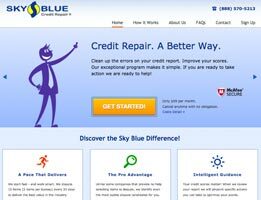 Becoming a client of creditrepair.com has given me a new lease on life. My spending was out of control a few years ago and I couldn’t make my payment. 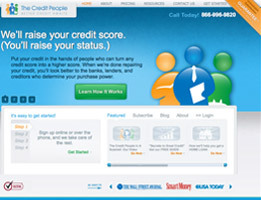 But now, thanks to creditrepair.com, I only have one low payment and my credit is starting to improve. I never thought I’d be able to dig myself out of the hole I got into with my credit card debt until I called creditrepair.com. Their team was with my right from the start. I am forever grateful for their credit repairs services and the hard work they showed me.